PRD Ceramics are Harrogate kitchen tilers and we can help you realise the kitchen you’ve always dreamed of. 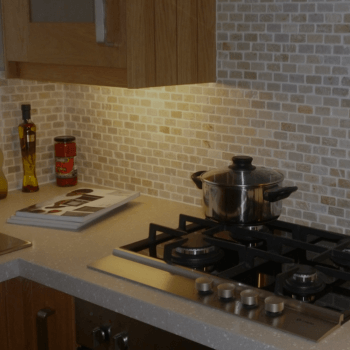 Whether you need to tile your kitchen walls, floor or both, we are the tiling specialists! With over 15 years experience our knowledge, skill and attention to detail is unmatched. We offer a no obligation consultation service and can advise you on the best materials and styles for your kitchen. We have a vast knowledge about tiles and can advise you on the best options for you. We’re experts when it comes to installation across a wide range of materials including natural stone, ceramic, marble, travertine, slate, mosaic, limestone, porcelain and quartz. We have always placed great emphasis on the smallest details and ensure the tiles are laid perfectly, with a smooth finish. We’re proud of our work and ensure every job is completed to the highest standard. We are trusted by major kitchen retailers to install beautiful kitchen floor and wall tiling for their customers. We also work for many private customers and love creating kitchens that we know will wow their guests! We have built our great reputation over the years and we’re proud to say that much of our kitchen tiling work comes by referrals. You can read our testimonials here. Get in touch with PRD Ceramics for a free, no obligation kitchen quote today. 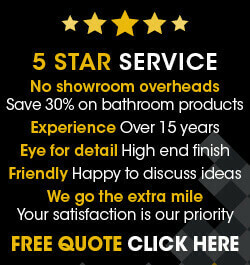 Call us on 07807 324212 or 01423 326526 to get the ball rolling and make the first step towards the bathroom of your dreams. PRD Ceramics did a fab job retiling our shower. It was a really difficult space to work in and they did an amazing job. Both Piers and James are great, they are super tidy at the end of each day and good craic while they are doing a great job. Thanks guys, our show looks fab! Piers recently refurbished an en-suite shower room for us. He did a really first class job. Sourced the wall and floor tiles, I couldn't have chosen better. Delighted with the result and he, along with Richard, were also a pleasure to have in our home, coping with interruptions from dogs and young granddaughter! Five stars also for the brilliant clearing up job afterwards and taking care to cover stairs etc., in advance. Can highly recommend. Piers did a brilliant job tiling my bathroom and downstairs loo. Would definitely recommend. I would highly recommend PRD ceramics for any tiling work. They are extremely efficient and did a beautiful job on our kitchen tiles. Thank you! Piers did a fantastic job on our kitchen floor! Would highly recommend this company, they were reliable & very thorough with their work! Amazing! Great job done in Harrogate on the kitchen floor in Hookstone area. Would highly recommend!! Absolutely delighted! So friendly and helpful, and the tiling is fantastic. Brilliant service. Thanks so much. We had PRD around to do our bathroom and they did a terrific job. I would recommend them to anyone.